I grew up in the country near a small town where we went to church, did our grocery shopping and every year we went Trick or Treating. We never bought our costumes; we merely went up to the attic and went through clothes my Mother had saved for years and years, along with a few masks, wigs and makeup. We would put our costumes together with the help of Mom, who was also a wonderful seamstress. 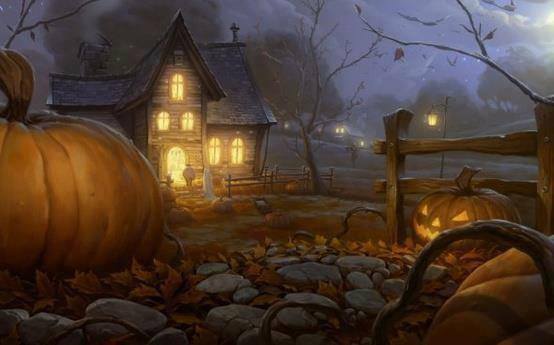 We would go to our church Halloween parties, where they had haunted houses, goodies to eat, a contest for different ages and the adults dressed up just to be mysterious and have fun! I had my picture in the local newspaper one year for winning with my witch outfit, which was all authentic except for the mask! For Trick or Treat, we’d go to sections of town where we knew folks and many times I would hear how cute and sweet we were and oh my, how much we’d grown since they saw us last. Most were church friends and Mom felt safer driving places she knew well. I learned a lot about values and traditions from my Mom and the energy and creativity she put into helping us figure out our costumes and put them together. I appreciated that and kept the tradition when my children were old enough for Trick or Treats, never buying costumes but finding things around the house, maybe buying a prop or something extra we needed from time to time, but mostly everything was homemade. We had fun, no matter where we lived, but for many years we would go back to my old Trick or Treating stomping grounds in the little town I grew up in. I knew everyone in town practically in the areas I went myself as a child. We would go as a family and sometimes we, the adults, dressed up too. I always loved this time of year with the fun, the mystery, the changes of the season and how it led to even more holidays! Autumn and Halloween have always felt very magical and mysterious to me, so it’s always been my favorite time of year, even before I learned more of its significance and importance to me. Now, I hold many of my own traditions; decorating the front door and porch and inside the house too. I don’t have any little ones, but my grown children take their children Trick or Treating now, a few are already too old and have told me they miss the fun of going out on Halloween night, Trick or Treating. There is no age limit on dressing up and going out, having fun and giving the treats to the little ones. Halloween is a night to be a kid at heart! My beliefs are mixed, keeping some from the past and learning of those I love and believe in now too. I keep what feels good and right to me and let go of the rest. Many go to parties, but we usually stay home. I love the Halloween shows on television, like The Great Pumpkin and Hocus Pocus, then I steal away to have some alone time. I like to sit outside and feel the wind and talk to the Ancient Elders, Mother Earth, the wind, the moon and listen and watch for those that have passed on into another realm that come to visit us on All Hallow’s Eve, Samhain, Halloween. This night is the best time to reach out and connect to loved ones that have passed on and feel peace. The veil is already thin, but on this night, it’s at its thinnest. I leave an empty place setting and harvest foods at the table as a gift for those who pass through my home and continue on their way. Since becoming older, I’ve learned much more about this night. I believe this is the end of the old year for the Celts, the New Year, the last harvest and the beginning of winter; a tradition I believe in. 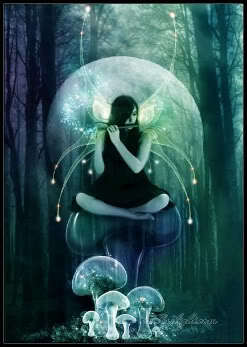 Now, the days become shorter and the nights longer; symbolizing a time of darkness and rest. This is the time of harvest blessings and letting go of the things that are not prosperous in our lives or that which is not positive. I write out a list and sit outside, speaking to the wind, lighting candles and a fire in our outdoor fireplace. I always ask the wind to leave my candles be, not to blow them out and they never do. I also have a nice heavy cauldron I use to burn my list in at the stroke of midnight. I speak to those I love that are far away, my guides and all my helpers. I’ve done this for many years. I love how things feel the next morning on November first; All Saints Day or the Day of the Dead. The energy feels fresh and clean, and I always say a prayer for those that have passed and saying thank you for yet another good Halloween-Samhain and look forward to Yule and the New Year. 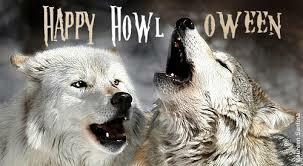 Wishing you a wonderful, fun, safe Halloween-Samhain, filled with magic, mystery and blessings!! Remember to keep the home and hearth fires burning!! If my messages are helpful or reach out to you, please feel free to reach out to me too at http://mystickblue.com/ If you share this message, please keep my copyright with it or share it exactly how you see it. Thank you. 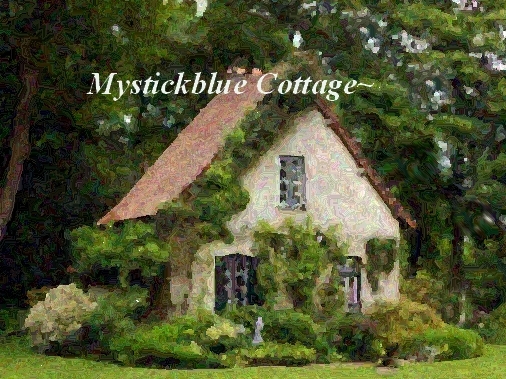 Copyright © Mystickblue-Fran Hafey2013-All Rights Reserved.